¿What is Umami? A fifth flavour similar to Spanish Ibérico Acorn Ham. Home ─ Blog > Spanish acorn Ibérico ham and the Umami flavour. Spanish acorn Ibérico ham and the Umami flavour. 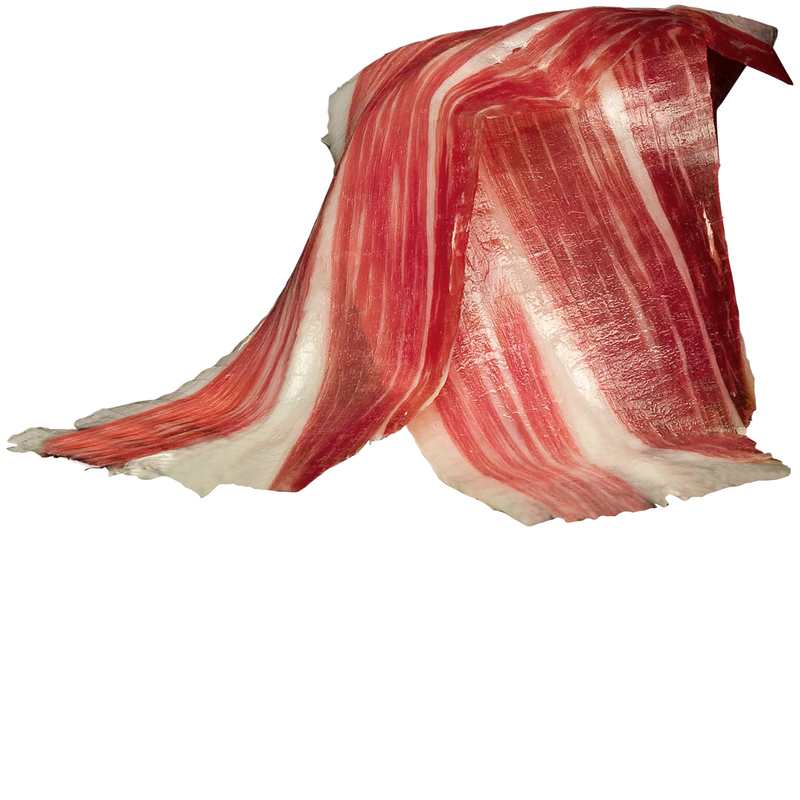 The purest Jamón español. The Spanish newspaper El País published a really interesting article on its Gastronomy section called: “There is a fifth flavour and it is called umami.” If you think they only exist the 4 traditional flavours, sweet, salty, sour and acid, you should know there is a fifth flavour. It is called umami and it is beginning to be known beyond the kitchens of the most avant-garde restaurants.”- summarized the article. On it they named a few English delicatessen food stores and Spanish restaurants which were promoting actively the flavour and stressed it on some foods. What is umami? And where does it come from? “Umami” means in Japanese “delicious or very savoury”. The roots of the word can be found on the word “Mi” which means flavour and 'Umai' whose meaning is delicious or very savoury flavour and it is considered as the fifth flavour. In 1908 a Japanese scientist called Kikunae Ikeda discovered the monosodium glutamate, an amino acid within proteins that produced a different flavour reaction in the tongue; this is the reason to call it the fifth flavour. What happened was glutamate increases salivation. This produces the food ingredients to be perceived with more intensity. May be this saliva increase acts as a defence barrier of the digestive system against the acids (glutamic acid) as saliva is alkaline and helps to lower the acidity of animal proteins which are harmful for our health. As he could not categorize it within the known classic flavours, he named it umami. How you can distinguish it? Andoni Luis Aduriz, who is the chef of Mugartiz restaurant and possesses two Michelin stars, explains what umami is: "Imagine colours were nameless and someone asks you describe yellow. Let´s say umami is tasty but not salty it fills up the whole mouth and palate, it lasts very long time keeping the taste. ". Umami taste resembles de physiological sensation when we are eating something we like very much and that can contribute to make us think and feel what we are eating is delicious. Umami flavour can be described as a meaty flavour that leaves an awesome very lasting taste all over the tongue and makes us salivate more than usual when eating. Parmesan cheese , raw meat, asparagus, tomato, anchovies and Spanish Serrano ham or even better the best “jamón español” the Spanish Ibérico Ham and many others remind these taste. In western world the term umami is not very known and that can lead to severe health risks as monosodium glutamate can be synthetized in the laboratories as a food additive and added to any type of food it leads the to eat larger portions than required ending in overweight.. When monosodium glutamate is naturally found on food there is no risk of overeating. Umami flavour means the food is high in proteins. In last paragraphs we talked about Spanish Ibérico Ham (jamón español) as one of the products rich in umami taste which means full of proteins. First of all Ibérico Ham and Spanish Ibérico Accorn Ham (jamón español) are pure protein foods (this is the first characteristic of umami flavour and Spanish Ibérico Accorn Ham is naturally full of monosodium glutamate). We have to agree Spanish Ibérico Accorn Ham is really tasty, it fills up the whole palate with a delicious feeling leaving an aftertaste of Ibérico Ham (a unique taste everyone remembers once they have sampled it) and asks for more Spanish Ibérico Acorn Ham slices ¿Umami taste? But, of course! Just thinking of eating a slice of Spanish Ibérico Acorn Ham our mouth begin ‘watering’ - that means a natural increase of salivation which help us to taste the flavour of the food and helps digestion. In any cases it is not known of any indigestion or illness caused by Ibérico. Should we assert seeing all this that Spanish Ibérico Accorn Ham is between many other wonderful things pure umami taste? So we can conclude, Spanish Ibérico Accorn Ham = umami taste or umami taste = Spanish Ibérico Acorn Ham.